Join us as we embark on our Millie Stars adventure! 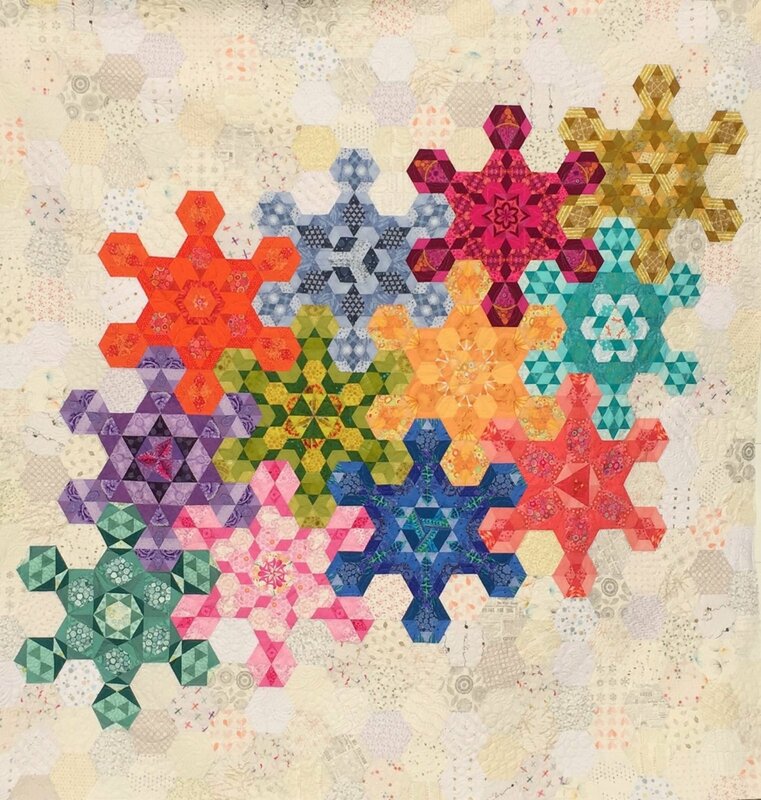 Katja Marek has designed a unique quilt-along, that can be pieced either with English Paper Piecing, by hand, or by machine. This session is intended to get you started on your quilt. We will offer tips and advice on how to best tackle this project, based on our experience in making the model. Designed by Katja Marek as a Block of the Month for 2019. Uses blocks from The New Hexagon book AND the The New Hexagon Perpetual Calendar. May be assembled using English Paper Piecing, traditional hand piecing, or machine piecing. Paper pieces packs are available through Capital Quilts (by month or all at once). Finishing papers sold separately. Acrylic templates for cutting are available. Please contact Kat at the shop of you wish to order any of the items mentioned above.